Throwing out the C3 Constitution – is Phil Pringle above his own church “rules of fellowship”? Home › C3 Church › Throwing out the C3 Constitution – is Phil Pringle above his own church “rules of fellowship”? How does the C3 Consitution define the word ‘heretical’? You can read the “Apostolic and Nicene Creeds” on our website on Our A/B/C/D’s page. One reason why the Nicene Creed was established was to separate and condemn the Modalist, Sabellianist and Adoptionalist heretics in the church in that time period. You can see how seriously the early Christian church fathers dealt with Modalist, Sabellianist and Adoptionalist heretics when one reads The Anathemas of the Second Council of Constantinople. We bring the constitution up for this reason: does Phil Pringle think he is exempt of the C3 Constituion? Why? At this year’s Presence Conference, Phil Pringle announced that next year TD Jakes (well-known modalist) will be speaking at Presence Conference 2016. 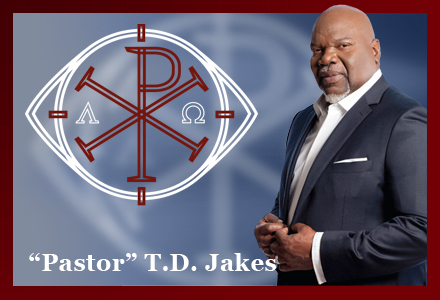 Famous Modalist heretic TD Jakes: denier of the Trinity. What made Pringle think that it was wise for him to promote a Modalist heretic? Why does Pringle want to be associated with one by promoting TD Jakes at his Presence Conference as though he is a Christian when the C3 Constitution condemns TD Jakes as a dangerous heretic? Why isn’t Pringle bound to his own constitution? And who in C3 will hold Phil Pringle accountable, if nothing written officially, holds this man accountable in the C3 Movement?